La Collection's founders Florence Cools and Artur Tadevosian like to keep their silhouettes classic, which allows the beautiful fabrics to do all the talking. 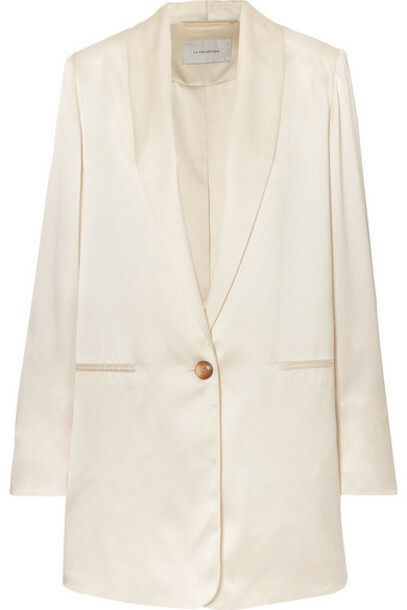 New for Spring '19, this 'Amandine' blazer is tailored from off-white silk-satin and fastens with a single button at the front. The oversized fit lends itself well to a nonchalant drape around your shoulders, which is how we imagine any fashion influencer wearing hers in Paris.